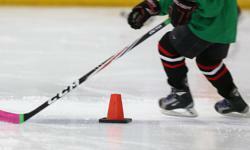 All MOHA on ice participants born between 1995 - 2003 must complete a baseline test prior to stepping on the ice. Please set aside 25 minutes for completion. Itʼs best to print this page to begin testing.Note: Please ensure that the test is taken in a quiet room with no interruptions. The test should be treated like an exam. Please remove yourself from any distractions that might effect your concentration. This years program has a built in response device that picks up on the subtitles of response. If a player conducting the test is not responding at a 100% the test will come up invalid and you will have to re take the test under supervision.